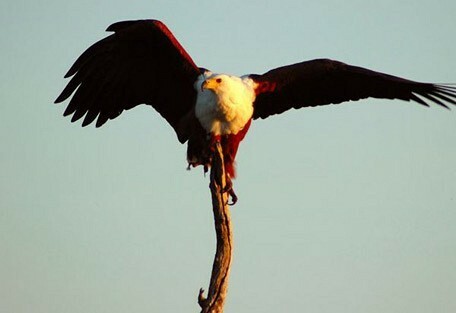 The Caprivi Strip is known to offer magnificent wildlife and superb bird-watching. The deep Kalahari sands and tropical waterways found here are home to an exciting variety of wildlife that differs considerably to that of the rest of Namibia. The Caprivi Strip, now called the Zambezi Region, situated in the far north-east of Namibia, consists of a narrow strip of land approximately 450km long, linking Namibia with Botswana, Angola and Zambia. It was a strategic South African military area for a long time and for tourists it was a gateway to Victoria Falls, however today it is governed by Namibia and contains a number of National Parks as well as incredible safari opportunities. 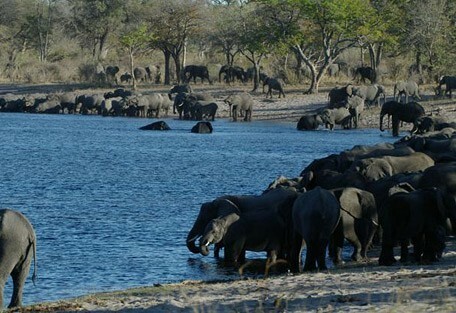 The Caprivi Strip lies just north of the Okavango Delta (Botswana) and Chobe National Park (Botswana). These are amongst the best safari destinations in Africa. 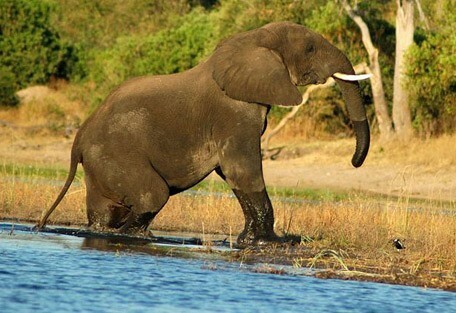 The proximity of the Caprivi to these reserves means that it too is a fantastic safari destination, but without the number of visitors or infrastructure of the bordering parks. The deep Kalahari sands and tropical waterways found here are home to an interesting array of wildlife that differs considerably to that of the rest of Namibia, in fact it is the only area in Namibia that is lush and green and well watered by rivers. Further away from the river the region is characterized by mixed mopane and teak woodlands, open grasslands and typical African savannah. The vegetation is lush and the waterways support a dense population of water-dependent species, as well as birds, making this a unique corner of the generally dry country. On a trip across the Caprivi you will come across many villages, which are lively with culture and provide huge interest to visitors. Namibia is a hugely traditional country, and there is great pride in the cultural richness in all corners of the country. There are 5 protected areas within the Caprivi Strip/Zambezi Region and in all of them you'll find big game, including water-loving species. This thriving wetland region connects to some of Botswana's most prestigious wildlife viewing areas: the Okavango and Chobe. What is now known as the Zambezi Region, the Caprivi Strip forms part of the Kavango-Zambezi Transfrontier Conservation Area. This is the biggest transfrontier area in the world and includes 5 Southern African countries. 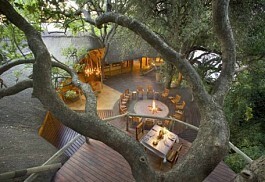 Divava Okavango Lodge and Spa offers luxury and style on the banks of the beautiful Okavango River. The chalets are elegant and spacious with lavish bathrooms offering Victorian-style baths and double vanities. 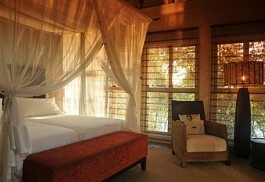 Ntwala Island Lodge is without a doubt one of the most luxurious lodges in the area. Ntwala Island Lodge is private and secluded situated on a beautiful island in the Caprivi Strip, consisting of four luxurious suites each offering a private plunge pool. 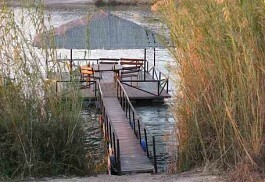 Susuwe Island Lodge offers a unique and romantic location on the peaceful Kwando River in north eastern Namibia. Susuwe Island Lodge is a small luxurious lodge and offers only six chalets promising a personal safari experience. Hakusembe River Lodge offers a spectacular river setting in a peaceful location. The lodge is small and offers only 8 luxury river chalets with air-conditioning, en-suite facilities and breathtaking views. 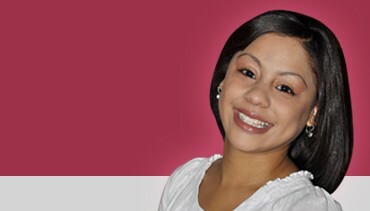 Known for their hospitality, friendly staff and delicious meals. A peaceful riverine retreat situated on the western banks of the Okavango River, overlooking the Caprivi Game Park. In addition to land-based luxury tented accommodation, Ndhovu now allows guests to experience nature at its best on a 2/3 day houseboat safari. 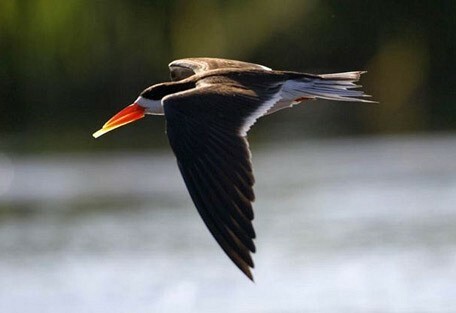 A number of reserves in the Caprivi Strip region protect the wildlife, while fenceless borders between parks provide excellent game viewing and superb birdlife. Mudumu is renowned for its buffalo population, roan and sable antelope, red lechwe and the water-dependent sitatunga together with large elephant herds. 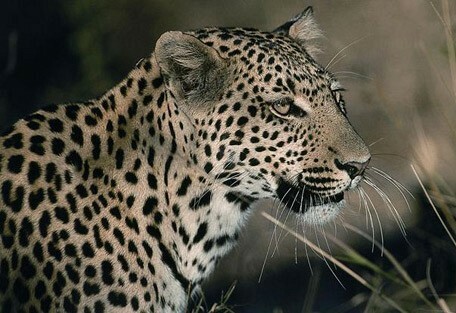 Other wildlife includes lion, hippo, impala, Burchell's zebra, greater kudu and common waterbuck, reedbuck and bushbuck. The waterways here are home to spotted-necked otter, ferocious tigerfish, and several large Nile crocodile. The birdlife in the Caprivi Strip is prolific and species that can specifically be seen in Mudumu includes the Coppery-tailed coucal, Slaty egret, Greater swamp warbler, Swamp boubou and Brown firefinch. In summer, numbers are boosted by the tremendous amount of migratory species including flocks of colourful Southern Carmine bee-eater, Copper sunbird, Pennant-winged nightjar and Broad-tailed paradise-whydah. This is the only region in Namibia where guests can enjoy such a water-based game viewing experience. 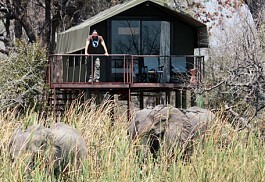 Lodges offer boating and canoeing safaris, while some even offer a few nights on a houseboat. The Caprivi/Zambezi Region remains warm throughout the year, with the maximum daily temperature upwards of 30 degrees Celcius, with a cooler season from May to August, which is during the winter season. The dry winter is pleasant with temperatures around 26-28 degrees Celsius, but gets quite cool in the early morning and late evening. Winter brings the best time for wildlife viewing in the Caprivi, as the permanent water attracts animals from far and wide. This is an area of summer rains with 80% of the annual 530mm of rainfall falling between December and March - peak summer. Humidity is high, reaching up to 70% and it gets uncomfortably hot in January and February. Impalila Island Lodge offers a remote and peaceful river island location. 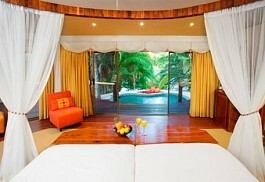 The lodge is ideal for honeymooners or guests celebrating a special occasion; private and exclusive. Susuwe Island Lodge offers a unique and romantic location on the peaceful Kwando River in the Zambezi Region. 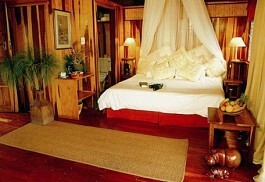 This is a small, luxurious lodge accommodating in only six chalets, promising a personal safari experience. Divava Okavango Lodge and Spa is one of Namibia's finest lodgeson the banks of the mighty Okavango River in close proximity to the Popa Falls.Accommodation is offered in luxurious and spacious chalets with beautiful bathrooms and spectacular views of the river. Ndhovu Safari Lodge is a peaceful riverine retreat situated on the western banks of the Okavango River, overlooking the Caprivi Game Park. 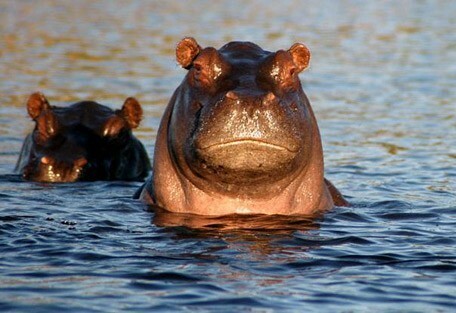 This lodge allows guests to experience nature at its best on an all-inclusive 2 or 3 day boat safari on the houseboat 'Hippo'. Caprivi, which is now known as Zambezi Region, is located in the very north-east of Namibia and is the only wet area of the country. Guests visiting Namibia can (and should!) incorporate a drive to Sossusvlei. The drive from Windhoek will take the better part of a day and it is recommended that one use a 4WD, as there are some mountain passes that require a bit of manouvering. 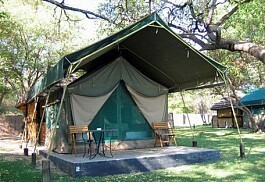 Alternatively, Sun Safaris can book guests in at one of the beautifully located lodges in the Zambezi Region. It would be very beneficial for visitors to tour the area with one of the experienced guides, and the quick travel by flight will suit our guests' tailor-made itineraries. Sun Safaris will book guests on flights to Windhoek (Namibia's capital city and safari gateway), from where they will connect with scheduled flights to an airstrip local to the Zambezi Region. Guests will be collected from the local airstrip by their hosts and driven to their booked accommodation.